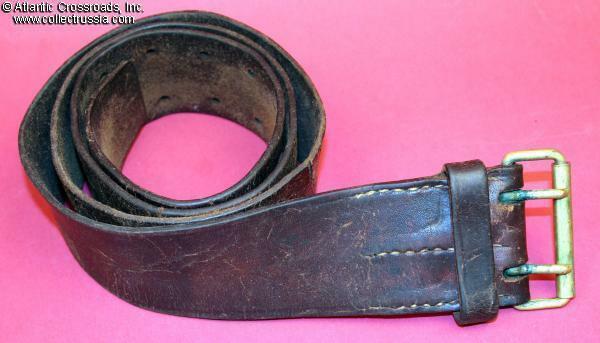 Army officer's leather belt, WW 2 era. 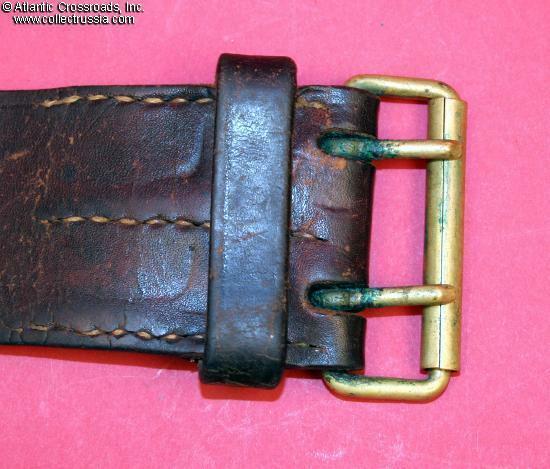 Army officer's leather belt, WW 2 era.Two-pronged brass buckle with roller. About 47" from end to end. 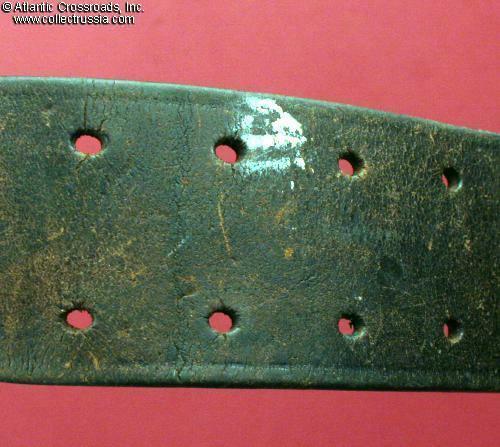 2" width. 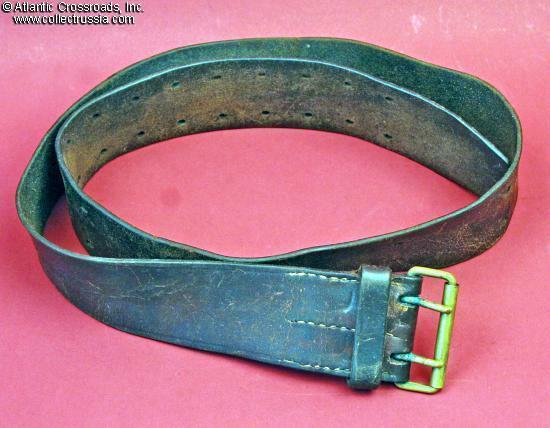 Fairly standard length for many Soviet military belts, but from the number of holes that were subsequently added to it, it would seem that at least one owner had only a 24" waist! 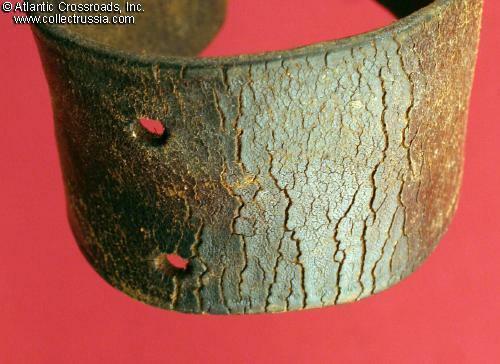 Very good appearance even though heavily worn. One small spot of what appears to paint should be easy to color over. 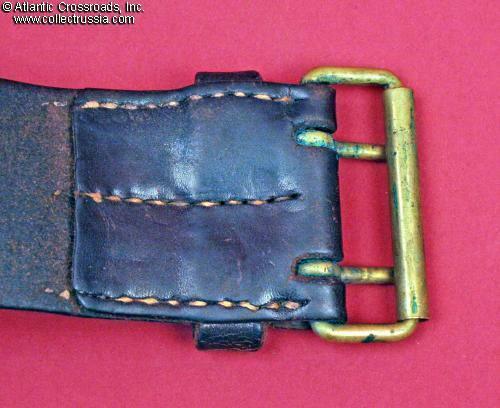 Since the leather has cracked slightly in various outside surface areas, we suggest that this would look (and continue to survive) best on a manikin or on a shelf as part of a WW 2 Soviet equipment display.